Very easy to prepare. 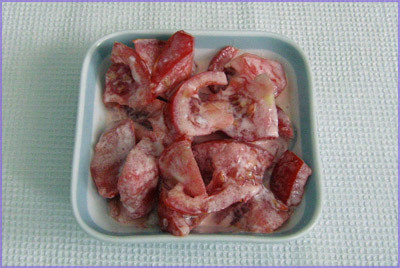 First, tomatoes are sliced into small pieces. To these pieces, a desired amount of cream is added. Salt can also be added if desired. Small amounts of the following natural spices can be added to this meal: basil, caraway.